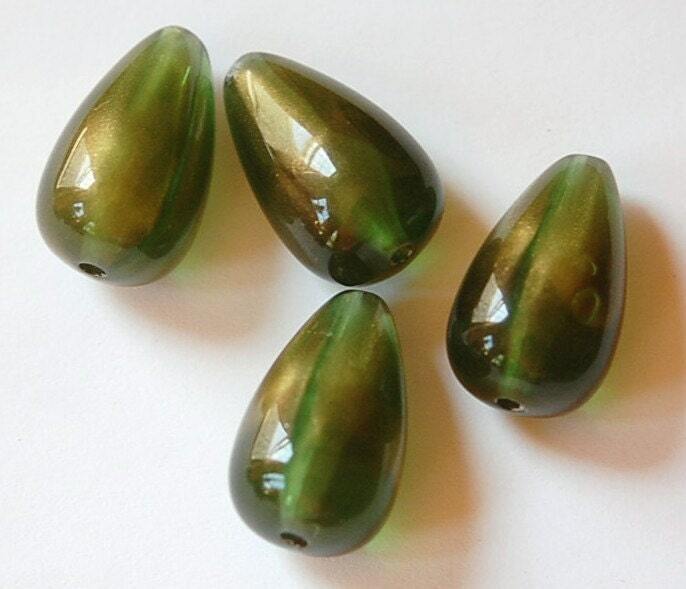 These are vintage green teardrop beads that were made in Italy. They are semi translucent with gold details. 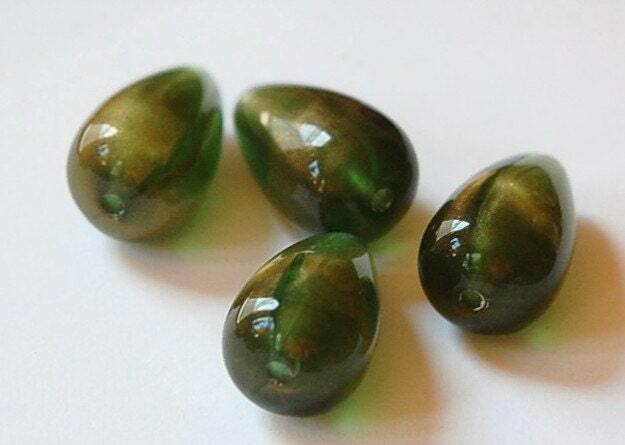 These do have air bubbles in them. These measure 24mm long X 13mm wide. You will receive 4 pieces. Love these Beads!!! Fast shipping and quality product. Thank you!